Manufacturing & Engineering 2017 will feature its strongest conference line-up yet when it opens in Newcastle this July. Visitors attending the event at the Metro Radio Arena, on 5-6th July can hear from world-class speakers including Liberty House Group, Hitachi Rail and the Scale-up Institute, focusing on opportunities for growth, the latest technology and inspiring case studies in the North East. Education and knowledge sharing plays a pivotal role at Manufacturing & Engineering. 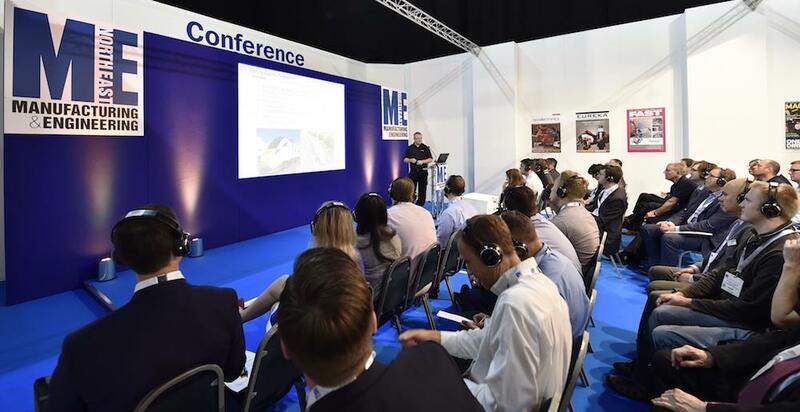 Visitors can choose between keynote conference sessions and practical workshop seminars covering every element of the design and manufacturing process from CAD to customer. The full programme can be found at: www.menortheast.co.uk/conference. Hitachi Rail will open day-one of the conference by discussing the lessons learned in the first year of production at its purpose-built Newton Aycliffe site. Day-two opens with Douglas Dawson, CEO of the Industrial and Engineering division of Liberty House Group, which is investing heavily in UK manufacturing. Further highlights include the Centre for Advanced Additive Manufacturing examining the advanced design and manufacturing methods that are changing modern engineering. John Mills, Chairman of JML Group discusses, investing in UK manufacturing to increase productivity and the Quicksilver World Water Speed Record Team, will show how they aim to regain the world water speed record for Britain. With over 10,000 design engineering and manufacturing sites within a 100-mile radius of Newcastle, Manufacturing & Engineering 2017 is ideally located to support industry in the North East. The event offers a prime opportunity to source new suppliers, test equipment, acquire expert knowledge and forge new supply chain relationships without travelling much further afield. New for this year, will be a Virtual Reality demonstration area, where visitors will be able to take part in hands-on demonstrations of the latest VR design and manufacturing technology. VR technology enables operations and design teams to review virtual prototypes to highlight manufacturing issues earlier, to better understand the human factors implications and to be able to train production line staff to get it right first time. Manufacturing & Engineering is delivered by MA Exhibitions in association with MA Business, publisher of Eureka, Machinery and Works Management magazines. Leading trade bodies and institutions, including the Advanced Manufacturing Forum, AMAP, NewcastleGateshead Initiative, NE England Chamber of Commerce, the North East LEP, and the Institution of Engineering Designers (IED) support the event.